On any given Sunday, church-goers can listen to sermons on what the bible says and how to interpret its passages, and for readers, Matthew Milam II offers his interpretation of just what Jesus left us through his teachings.Matthew Milam II is a deacon serving on the pastoral staff of South Side Gospel Church and is the founder of Hands of God Ministries and his book The Jesus Command is an examination of the underlying basis for Discipleship and the starting point for Christian living. “Love one another, as I have loved you; …By this shall all men know that ye are my disciples…” (John 13:34-35 NIV). That’s the basis of Milam’s model for individual study of The New Testament. He starts with the words Jesus left with the 11 men of His inner circle after the departure of Judas, explaining that “Jesus didn’t mince words” with his disciples, he gave them powerful, specific commands, but even to this day, some followers have difficulty understanding His words. What Milam gives us is a condensed look at passages of the bible, how they affect us all in our day to day lives, and how our ability to live peacefully with one another could literally change the world. 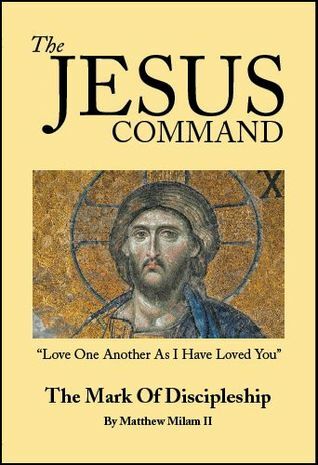 The Jesus Command is well-written and laid out for the reader, providing guidance, inspiration and much to ponder as we gather more insight into His words. For people who have never read the bible, Milam’s bible companion is an excellent start, giving readers an understanding of what Jesus was saying to his disciples and what they left mankind to try and grasp in our own lives.